Is Bhakti Influenced by Our Past Karma? Devotee: Śrīla Prabhupāda, is it true that our advancement in devotional services... Is it influenced a lot by our past karma, how many sinful activities we have committed? Prabhupāda: No, no, no. Bhakti is not under karma. Bhakti is under your good will. If you accept to surrender to Kṛṣṇa, you can do that without being checked by anything else. Simply you have to will, "Yes, Kṛṣṇa. You are asking me. So long I did not do. From this day I do." That will depend upon you. Devotee: Not that if I was more sinful, I would make less advancement than somebody who is more pious. 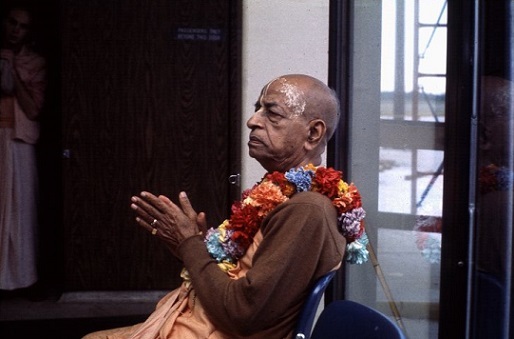 Prabhupāda: Whatever you may be, you simply surrender and everything is finished. Ahaṁ tvāṁ sarva-pāpebhyo mokṣayiṣ... (BG 18.66). Even if you are sinful, Kṛṣṇa will give you release, "All right. You have surrendered. That's all right." That is wanted. If you reserve something and cheat Kṛṣṇa, "Now I am surrendering," Kṛṣṇa is very intelligent: "You have still reservation. No."